Ecological disposal wetland in Cuernavaca, MX. Wetlands are nature’s water purifiers. They remove nutrients filter sediments from floodwaters, and can be designed to remove nutrients and other pollutants from stormwater and wastewater. Although greywater used for irrigation does not need treatment, constructed wetlands can be used to treat greywater destined for discharge into a local creek, river, pond, or estuary, or to create backyard wildlife habitat. (Note: It is not legal or recommended to discharge greywater into a waterway, but since this problematic practice occurs all over the world, constructed wetlands can help mitigate the damage.) They can also be incorporated into more complex systems to treat water for toilet flushing. Ecological disposal wetland from an office with no sewer connection. 1. 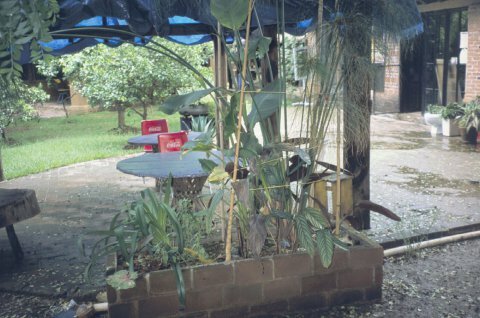 Greywater contains nitrate and phosphate, which are plant nutrients. Discharging nutrients onto soil is beneficial and improves plant growth. Discharging nutrients into surface water (ponds, lakes, rivers, or streams) constitutes pollution, because in excess, nutrients cause algae blooms. After the algae dies, microbial decomposition removes oxygen from the water. Since residential greywater can contain nutrients, the water should never be discharged into streams, ponds, natural wetlands, or shallow aquifers that are hydrologically connected to surface waters. 2. A residential greywater system should NOT contain toxins or dangerous pollutants. Avoiding toxic cleaning products is the best way to keep household toxins out of your local ecosystem. Wetlands can remove or render harmless some industrial pollutants, but require constant monitoring and special design. Don’t rely on simple backyard wetlands to treat household hazardous waste! 3. Wetlands transpire large amounts of water. If your greywater goal is to irrigate a garden or orchard, or return water to the local aquifer, a wetland may be counterproductive. the site is located close (within 50 ft.) to a stream or pond, or within a floodplain–a wetland can reduce nitrate and phosphate levels in greywater, thereby preventing accidental nutrient pollution of the waterway. 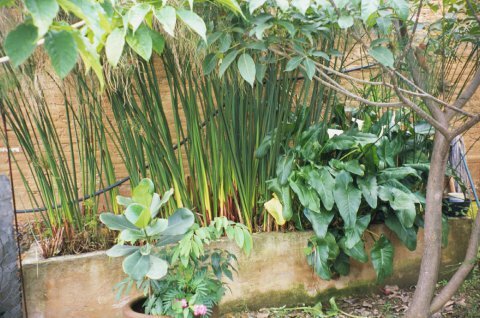 a household produces more greywater than it requires for irrigation. The wetland plants can use up the excess water and create wildlife habitat in the process. in cold climates, irrigation water is only required for part of the year. During winter months, frost-protected wetlands can treat water for release into the aquifer below the frost line. wetland plants are being grown for beauty or habitat value. 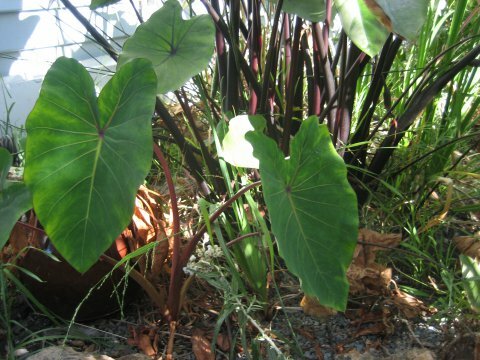 These plants love water and greywater is a way to water them! Wetlands can be incorporated into other situations, but they do add a level of complexity to the system, take up more space, and reduce the amount of water available for irrigation. Constructed wetlands can be divided into two types. 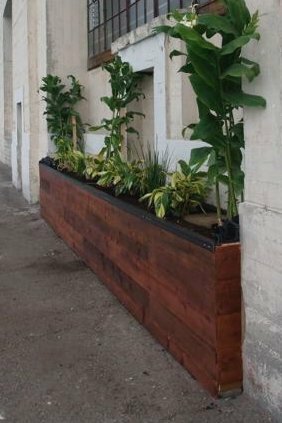 In subsurface-flow or reedbed systems, plants grow in gravel or soil. In surface-flow or pond systems, plants float in the water. 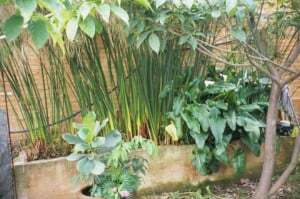 For backyard greywater wetlands, we recommend reedbed systems in bathtubs filled with gravel, mulched with woodchips, and planted with cattails, bulrushes, and other wetland plants. In these systems greywater never surfaces above the mulch, which keeps people and animals from contacting the greywater, and is also is a requirement for many codes. Pond systems, which have standing water, are never allowed under state codes. If you want a pond system the greywater must first be filtered by a reedbed wetland, this prevents the unsightly, smelly, and potentially unhealthy pond of raw greywater. For bathtub and stock tank wetlands from shower or washing machine systems, we use a surge tank with a 1″ outlet to allow water to flow slowly into the wetland. For large, in-ground wetlands, an infiltration zone filled with 2″ to 4″ cobble can replace the surge tank. Use a woodchip biofilter to reduce flow rate and remove food particles. The wetland inflow pipe must be screened, otherwise, plant roots will clog the pipe. We build simple infiltrators from milk crates covered in 1/4″ hardware cloth. Sew hardware cloth together with wire–cattail roots are tenacious! Place 2″ to 4″ cobble around the wetland outlet, and screen the outflow with 1/4″ hardware cloth. The outflow hose should be at least 1″ in diameter to avoid clogging (the bathutub’s overflow drain works well–attach a bathtub drain assembly to the overflow hole). Plant a mix of wetland plants with rhizomatic roots to maximize wildlife benefit and treatment at a range of temperatures.Use native species, but ask a local naturalist where to harvest them sustainability or buy them from a nursery. For cold climate systems, include sedges (Carex spp. ), which take up nutrients down to 4 degrees C. When choosing a sedge species make sure it has rhizomatic roots, not fibrous matting roots, as they can clog the wetland. Weed out grasses and other plants with fibrous roots as they will clog the pore space in the gravel. 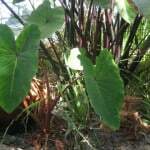 Once a year, cut back the tops of wetland plants and use them to mulch your garden. After several years, you may need to thin the wetland plants–donate them to a friend’s constructed wetland or local restoration project! Ecological disposal wetland in Cuernavaca, MX in home of architect Cesar Añorve from CITA.